Cardiff University is a member of the elite Russell Group top 24 UK research-led universities. In recent years, substantial investment has been made in the University estate, including building of a third science and innovation campus. The city of Cardiff offers an excellent location for students to study in. Students benefit from the combination of a small, friendly, inexpensive city with the cultural and recreational amenities of an ambitious and progressive capital city. Students in Cardiff lead a busy life, both with their academic studies and the social activities that take place. It is presently host to numerous large scale, high-profile events, including the IAAF/Cardiff University World Half Marathon Championships 2016. As the capital city of Wales, it is home to many of the UK’s national institutions including the National Museum of Wales and the commanding Millennium Stadium. The waterfront area at Cardiff Bay is home to the Welsh Assembly and the Wales Millennium Centre arts complex. There are regular food, arts and craft festivals and visitors can walk across the barrage or take a boat trip around the bay. You can also find stunning national parks and beautiful beaches just 30 minutes away from Cardiff, and with over 600 castles in Wales! Cardiff is an extremely accessible city, benefitting from excellent road, rail and air communications. Using the national rail train service, London is reachable within two hours. There are a wide range of facilities available to international students at Cardiff University. Students can use 16 libraries spread throughout both campuses, with 1.3 million books and journals including an expanding range of electronic versions. Students have over 20 computer rooms across both campuses and Wi-Fi access in many of its buildings and all residences. The sports facilities are located on four sites across both campuses and include: a training village, a swimming pool, a squash centre, three gymnasiums, a 33-acre sports fields, an exercise studio, six squash courts, three rugby pitches, ten football pitches, an indoor five-a-side pitch, four cricket squares, lacrosse and American football pitches, a hockey pitch, indoor and outdoor tennis courts and badminton courts. Cardiff is proud to be among the few universities in the UK which have a facility exclusively for taught and research postgraduates. The Graduate Centre offers additional resources of space, study and social facilities, as well as workshops and events for students. Cardiff’s Students’ Union is the biggest and best equipped in Wales. The Students’ Union offers a variety of entertainment, diverse clubs and a range of welfare, advice and information services. The International Student Association (ISA) gets more international students involved in the Union. Students can opt to write for the student newspapers at Cardiff such as GairRhydd, Student Lifestyle Magazine, Quench, or work for the students’ radio and TV stations - Xpress Radio and CUTV. The Great Hall, a 1,600-capacity concert venue. Cardiff’s own high quality nightclub. The Taf an old-fashioned pub. The Lounge a non-alcoholic social space for international students, with Skype booths and touch-screen games. Many cultural, political, religious, social and sporting interests are catered for with a number of societies specifically for international students. There are more than 200 societies. Unusually most of the University’s student accommodation is within walking distance of lecture theatres, libraries and the Students’ Union. A place in one of the student accommodations is guaranteed to all first-year undergraduates. The majority are single en-suite bedrooms in self-catered flats. Students enjoy some of the lowest living costs compared with UK Universities. If you are interested in studying at Cardiff University, contact one of our Across the Pond Advisors. Location: The University is spread across two campuses: Cathays Park and Heath Park. The majority of Cardiff University students are based at Cathays Park which is in the centre of Cardiff city. Closest airports: Cardiff has convenient connections to Bristol, Heathrow and Gatwick airports and the city also benefits from its own international airport. 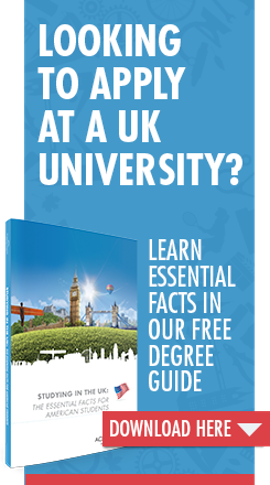 Accommodation cost : The minimum cost of living as recommended by UKVI for studying outside London is £1,015 per month. Cardiff University in Wales has been producing successful graduates for the past 130 years. Ranked 5th in the UK for research quality and 2nd nationally for the impact of research (REF, 2014) and top 125 in the world (QS World Rankings 2015/16), many of the University’s academic schools are ranked amongst the strongest in the UK for the quality of their research and teaching. I did my MA in Translation Studies at Cardiff University in 2015-2016, and my only regret was that I couldn’t continue studying for longer. I wholeheartedly enjoyed the whole course. My tutors were approachable and had a great deal of academic and professional experience.